For the second week of the school holidays The Glen are letting the little ones design the most incredible future cities. 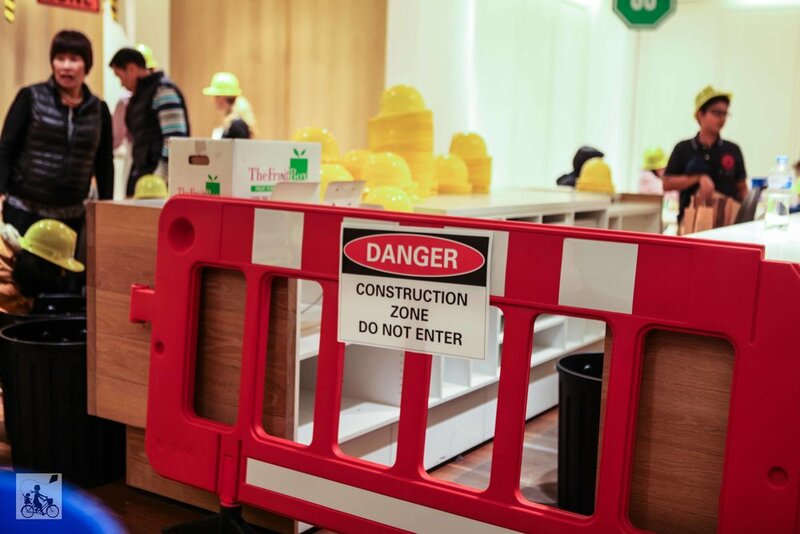 Just like the tradies working on the centre at the minute, the kids chuck on a hard hat and get in on the building action in a special zone just for them. Each child gets their own piece of turf or thin plywood, then they will quickly fill a bucket with recycled materials before finding a table to set about imagining a community of their very own. Once completed it can be added to the fast growing community installation or taken home if you wish. Mamma spied brilliant windmills, fancy football stadiums and houses that would be perfect for the local council to consider! The project has been hosted by international design studio, Artillery Interior Architecture and are deigned to get families and friends to work together in a creative way these school holidays. 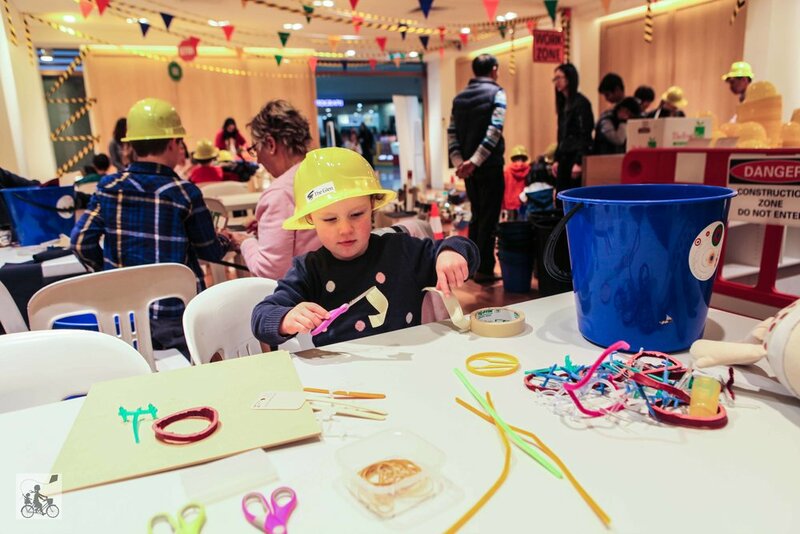 Mamma's special mention: If you are loving this kind of recycled art and you want to continue the fun well beyond the school holidays, Mamma suggests you visit Resource Rescue for a supply mission!